“A person/human being eminently skilled in something, as an occupation, art, or science is often referred to as a master.” A strong word? Yes. A fitting word? Undoubtedly. I have recently made the decision to leave my long standing coach Michael Krüger. The decision has been an extremely long and thought out process. Michael Krüger I regard as a master at his occupation. Without Michael’s expertise and guidance I question whether I would be calling myself a professional triathlete today. In 2006 I raced my first World Cup in Hamburg, Germany and placed 57th overall. 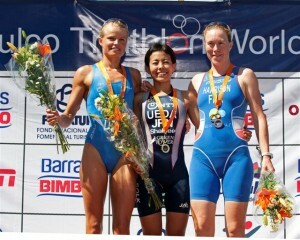 In 2009 I was one step away from the top of the podium in Huatulco, Mexico. In between all this has been ITU European Cup victories, ITU World Cup top 5 finishes, National Championship titles all of which I give all credit to Michael. These results would not have been possible without his guidance and work over the past 6 years. Despite all of the above I believe I have yet to show my true potential. Which is the main reason for taking the next big step in my professional triathlon career. In order for an individual athlete to be successful they sometimes need to step out of what is comfortable and convenient by making decisions and taking chances that they do not know the outcome of. This reduces the element of ‘what if?’ from the thought process. Undoubtedly I have had my best years, until now, under Michael and as Kara Goucher, perfectly sums up here, change is hard. However I am fully confident that in my case, change is good. ‘From one master to another’ I am extremely excited about my future development and progress under my new coach Joel Filliol. Joel, like Michael, is one of very few coaches who I regard as a ‘master of occupation’. Just one look at Joel’s resume is enough to fill any athlete with confidence. However there is more to a coach-athlete fit than just past history. What works for others does not necessarily work for you. Any new coach-athlete formation takes time, many email, Skype calls all of which is a way a gaining understanding of ones work. After ending my first Skype call with Joel I got this instant reassurance that my belief in the work I needed to do, to go forward was supported. Having now been officially working under Joel for a mere two weeks my mind set and belief is already refreshed. Michael is the Danish National Coach so despite not coaching me on a personal day to day basis he will always have a role to play in my work. More to the point I will always want him to have a role in my work. There is no way after 6 years, a relationship which has ridden an extremely bumpy rollercoaster will just end. Michael has not only been my coach but is a great leader of Triathlon Denmark, a super good (fast…too fast) training partner and most of all a personal friend. Looking to the future I am now extremely focused on getting to work with Joel. Excited and Driven. I am hungry for a solid winter, based down in the sunshine at Club La Santa, Lanzarote. Denmark’s winter is getting ever closer. A massive thanks for your continued support and following. Regular updates via www.hellefrederiksen.com, Facebook, Twitter.